Tammi Hilp hosted the Hillsboro Optimist Club Youth Appreciation Breakfast on April 19 where sixteen middle school students were recognized for their outstanding achievements. 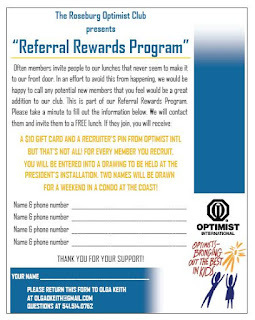 Have you been thinking about membership in your Optimist Club? Last week we learned that the Optimist Club of Roseburg is making a concerted effort to bring in new members so that they can do even more in their community. This week, we want to hear from you! What is your club doing to attract, recruit and retain members and what have you personally done to help them? 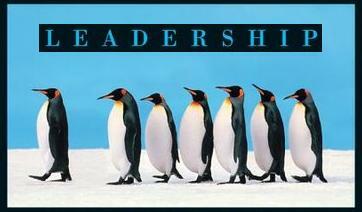 Have you taken a morning or afternoon to Walk 'n Talk about your Optimist Club in your community? Are you actively seeking leads? Have you joined your Chamber of Commerce or other networking resource in your community? 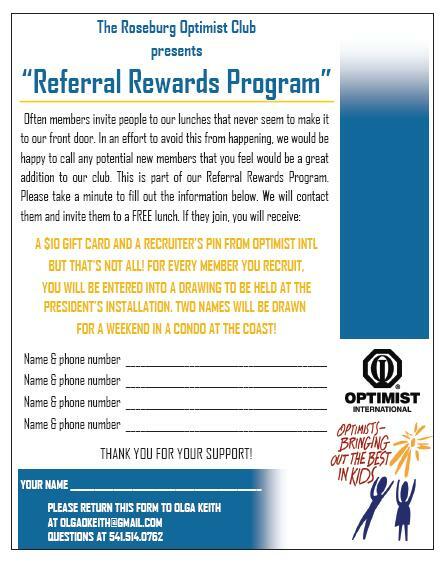 Are you hosting a New Optimists Welcome (NOW) activity? Were volunteers from outside the organization invited to participate in your latest program? 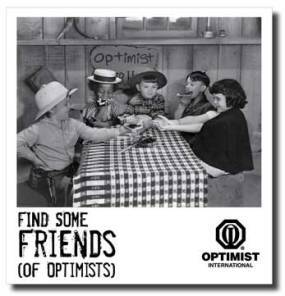 Have you added a Friend of Optimist to your club's roster? We can be passive, do good projects, and hope that others like what they see enough to get involved. Or we can be more proactive, more inviting. To help you extend the invitation to even more people, Optimist International has created the Friends of Optimist category. Hint: he's the oldest one in the picture and a member of the Tri-Cities Optimist Club in Pasco-Tri-Cities, Washington. He is also the adviser to the students in the picture (right to left) Terra Olson, Cynthia Diaz and Israel Rios at Pasco High School. After a visit to the Sacred Heart Children's Hospital in Spokane, the students decided to take on a senior project to benefit the children in the pediatric cancer unit. During their visit, they learned that chemotherapy strains vision and hearing and since children are often in-patient for treatment, sometimes for months at a time, the students decided there should be larger televisions in the patients rooms. The project, playfully dubbed the "Bigger Picture" has the students reaching out to the community to help raise $13,000 - the amount needed for twenty-five 32" televisions. 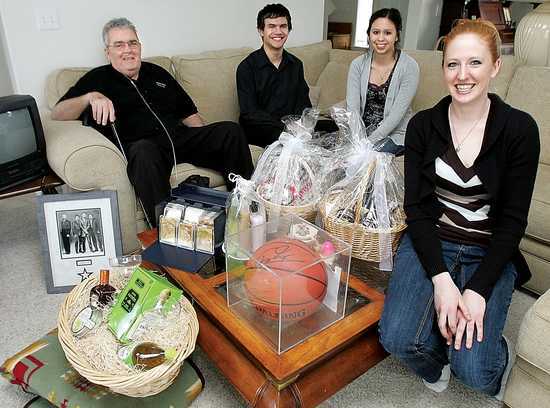 The big fundraising event is a dinner dance and auction, to be held at the Red Lion Hotel in Pasco on April 29. Auction donations are welcome, and tickets are available from the students or members of the Tri-Cities Optimist Club who, according to Charlie Kissler, are helping the students get this project done. Contact Charlie Kissler to learn more. Many thanks to the students - Terra, Cynthia and Israel - for caring and especially for their drive to complete such an ambitious project. Thanks to Lareena Roberson for forwarding the story. Please read more in the Tri-City Herald.